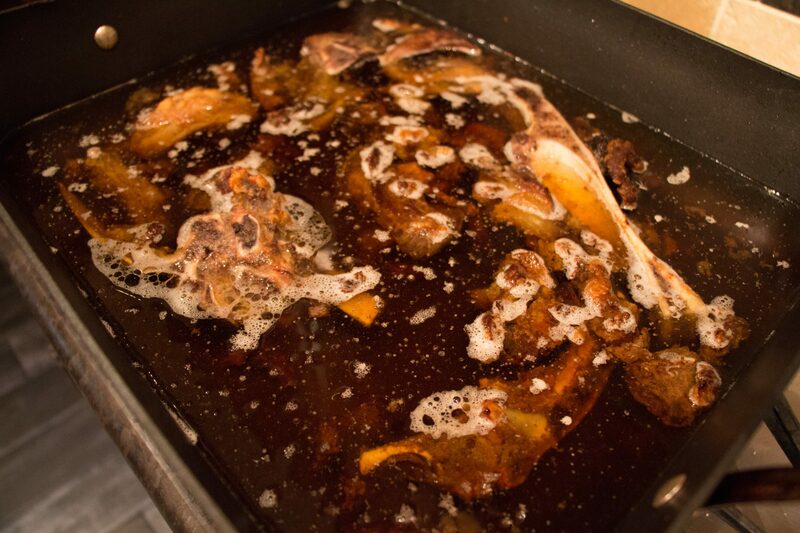 Do you ever end up with a lot of beef bones? Maybe after de-boning a large roast? 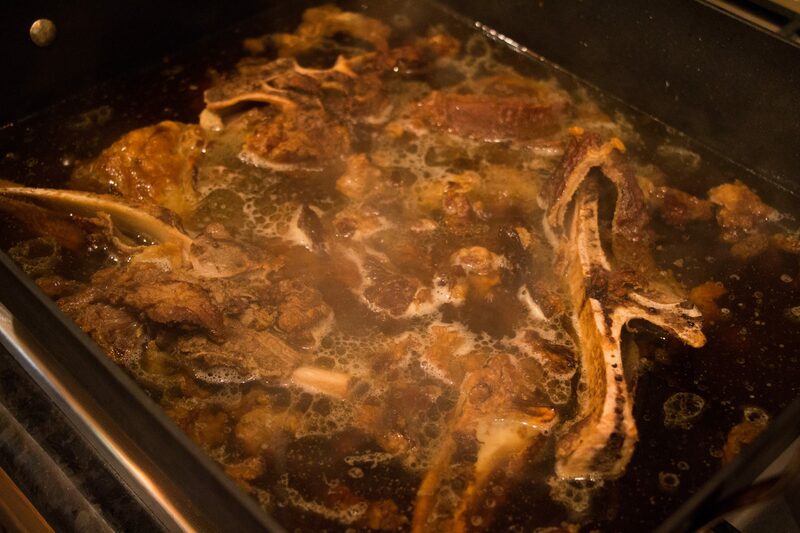 If you hate to waste food like I do, try this simple way to make beef stock using bones! 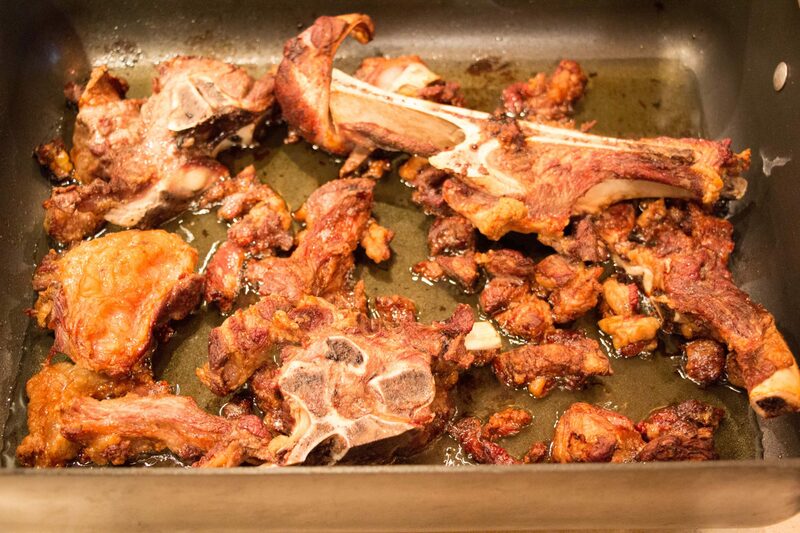 It’s so simple, and yet a smart way to take advantage of leftover bones. 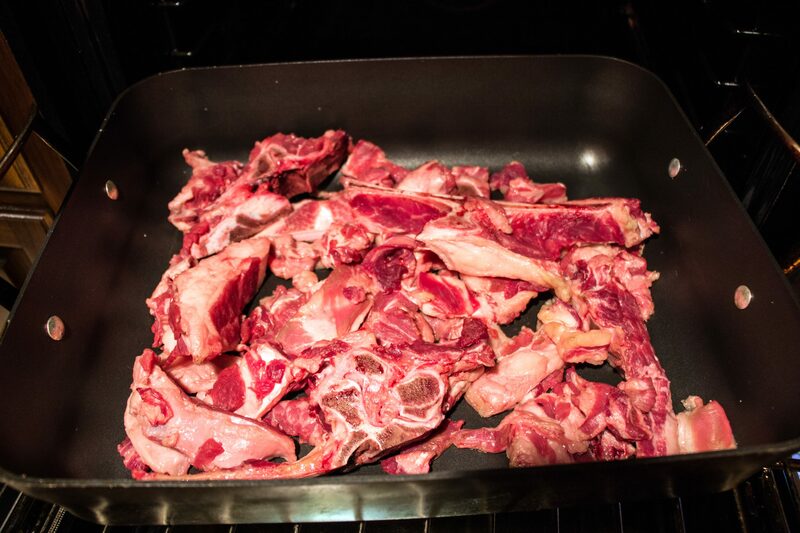 Start by putting all of your trimmed bones in a large roasting pan. Globs of trimmed fat are fine as well. Some people believe in salting and peppering the bones and bits, but I just leave mine plain. After you’ve collected the stock, you can taste and season. That way, you also don’t end up with too salty of a stock. Roast the bones for 15 minutes, then turn down the oven to 375 degrees and continue roasting for another hour. Remove the pan from the oven and place it over 1 or two burners on the stove. Let the pan cool for a while, then add some filtered water to it. Turn on the heat until the broth just boils, then turn it down to a low simmer. You could add other ingredients at this point, and seasonings like bay leaves, but I like to just leave it alone and keep it simple. Bones and water. And some fat. After about two hours, and occasionally turning the bones, you’re left with a beautiful broth like this. Let the mixture cool somewhat, then place everything through a colander over a large bowl and drain well. And there you have it. 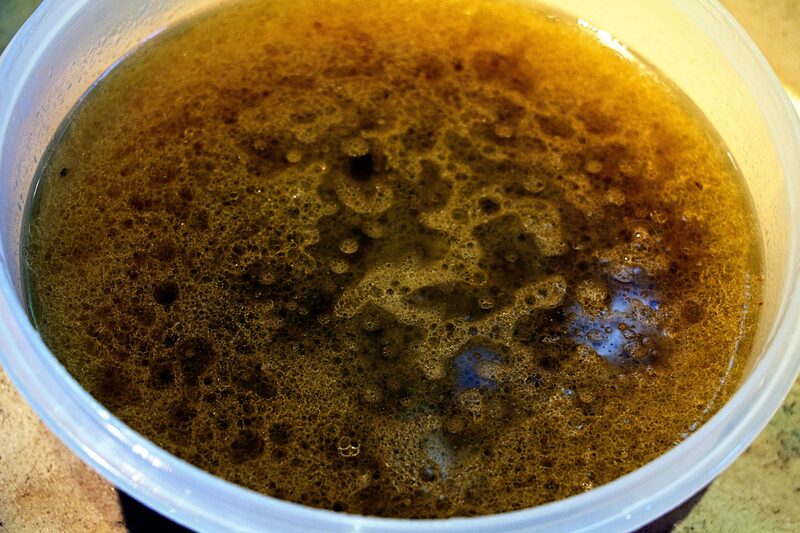 Refrigerate the broth overnight, then remove the fat layer before proceeding with a recipe. I happened to use this broth when I made chili, and it was delicious! note: This could be called either a stock or a broth. There are more involved home-made stocks, like those that also include vegetables, but personally I like just using the bones. Then I get the meaty beef flavor into my soup or stew via the stock/broth, and then add the aromatics at that time I’m preparing the soup or stew recipe. It’s just a personal choice.